A kid named Elvis Presley kept pestering Sam Phillips to sign him to his Sun Records label. Sam asked his friend Scotty Moore to check him out. Scotty had been hanging around the studio himself for a while, and Sam had just issued a single by Moore's band The Starlight Wranglers that May. On June 27th, Scotty agreed to let Presley come over his house and 'try out', calling his best friend, and bass player for the Wranglers, Bill Black to come over as well. Even though Bill told Phillips that Elvis "didn't impress me too damned much! ", Sam signed him anyway. Together they would alter the course of history. When Phillips heard them 'messing around' with Big Boy Crudup's That's Alright Mama at the studio that July, he cranked up the machine and started rolling the tape. Released as Sun 209, it's one of those timeless records that just changed everything. By October, the trio was playing on the immensely popular radio show Louisiana Hayride out of Shreveport, Louisiana, and tearing up the South playing anywhere and everywhere that would have them. It was on the Hayride that they met drummer D.J. Fontana, who soon became an integral part of their sound. With 'Blackie' riding and slapping his 'doghouse' bass, the 'big beat' these guys were laying down became the very foundation of what would become known as 'rockabilly'. 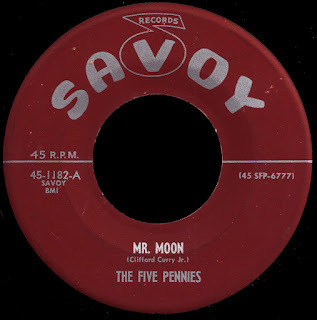 When RCA offered Sam Phillips a previously unheard of $40,000 to buy out Presley's contract in 1955, he took it, as he figured he'd have 'the next Elvis' knocking on his door any minute, as Sun was now crowded with eager prospects like Johnny Cash, Carl Perkins, Jerry Lee Lewis, and Roy Orbison. After a Grand Old Opry gig with Hank Snow, Presley would hire the imperious Colonel Tom Parker as his manager. When Budy Killen successfully shopped a song he owned the publishing on to the RCA suits in Nashville, the pieces of what would become the Elvis mystique were in place. Heartbreak Hotel careened into the #1 spot by March of 1956, and stayed there for a solid two months. 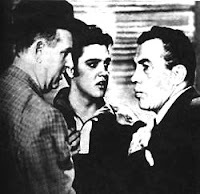 By September, Presley and his band would play the Ed Sullivan Show, reportedly earning $50,000. That same year, he signed a seven year movie deal with Paramount Pictures, and the first Elvis Movie, Love Me Tender was released in October of 1956. It was readily apparent that neither RCA nor Colonel Parker (or Paramount for that matter) had much use for the affable country boys that had been with their big star all along. They were kept on a $100 a week retainer, which rose to $200 on the road. After the filming of Jailhouse Rock in 1957, both Scotty Moore and Bill Black quit. When Elvis personally guaranteed them another $50 a week, they agreed to return. By February of 1958, however, Blackie had seen enough. He walked, never to return. Elvis was drafted into the Army in March. Returning to Memphis, Bill fell in with Joe Cuoghi, a local fixture who had jumped on the Sun bandwagon, and opened his own Hi record label with a few friends as an adjunct to his highly succesful record shop, Poplar Tunes. 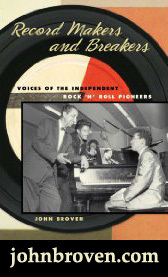 The first release on the label had been by Jerry Lee Lewis' cousin, Carl McVoy in 1957. It didn't do much. Enlisting McVoy, a kid named Jerry Arnold on the drums, and Martin Willis on the saxophone, Bill set out to find the right guitar player to round out what would come to be known as his 'Combo'. 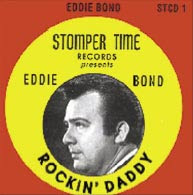 He found him in the person of Reggie Young, who had cut his teeth as the guitarist for Eddie Bond's Stompers, a local rockabilly band that had a big regional hit with Rockin' Daddy in 1956. Reggie had followed in Scotty Moore's footsteps, following 'the boys' on the Louisiana Hayride, and tracing the same southern circuit that Elvis had blazed before them. He was glad to hook up with Bill and come off the road to take up residency at Hi's recently outfitted Royal Studio, housed in an old movie theater on South Lauderdale Street in East Memphis. Bill worked with the band until he thought they were ready, and their very first release on the label, Smokie - Part 2 (Hi 2018) would crack the Pop top twenty in late 1959. When sax player Martin Willis backed out because he didn't want to go out on the road, Black enlisted Sun sideman Ace Cannon, and 'the untouchable sound' was born. Their follow up record, White Silver Sands, broke into the top ten, and further established Memphis as the home of the instrumental (Hi - get it?). More hits would follow, like Josephine and the Combo's own version of Don't Be Cruel, before the A side of today's selection, Blue Tango, hit #16 in the fall of 1960. This rockin' record we have here is named, in my opinion, not in honor of Willie Mitchell (who wouldn't appear at Hi for another two years), but Willie Dixon, as the piano line is very reminiscent of another fave of ours, 1955 hit Walkin' The Blues. You can really see what they meant by 'untouchable', as you couldn't squeeze a dime between the bass, guitar, and drums - all locked firmly onto that relentless beat. Just elemental stuff, man, and at only 1:55 it ends way too soon! Bill Black was back in the thick of things, with his Combo named 'top instrumental group' three years in a row. They were back out on the road, with their own appearances on Ed Sullivan and the whole deal. 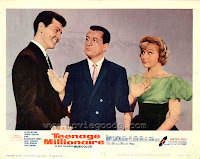 In 1961, they would even appear in the rock & roll film Teenage Millionaire. By the end of the year, Black began having some health problems that would keep him close to home. The Combo continued to make records, both for themslves and as the 'house band' at Royal, backing the label's other artists. One of those was their own Ace Cannon, who began to chart for Hi under his own name in 1962. The Combo evolved in those days, with personnel changes kept behind the scenes, as their records remained in the Hot 100. 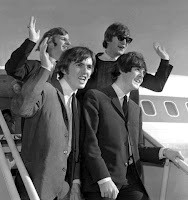 When The Beatles came to the States for their first tour in 1964, they (bless their Liverpudlian little hearts) wanted Bill Black's Combo to be their opening act. With Black too ill, It was up to Reggie Young to put a band together and bring them out on the road in front of hundreds of thousands of screaming teenagers. The Fab Four loved them, reportedly holding a 30 hour jam session down in the Florida Keys at one point, with a young George Harrison just eating up Young's guitar licks. Bill Black was diagnosed with a brain tumor in 1965. He slipped into a coma at Baptist Memorial Hospital in Memphis on October 8th. He would die on the operating table two weeks later. Another great track. Somehow, I'd never made the connection between the Bill Black Combo and Elvis. I always remember Scotty and DJ though. You've done another great job of pulling together a lot of info into a tight narrative. The Beatles' connection was a sweet penultimate touch, before the sad conclusion. 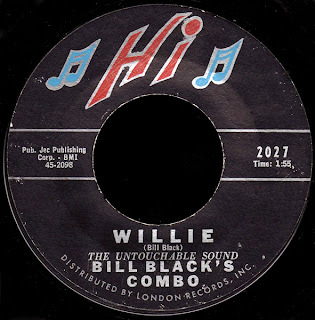 Willie as a B-Side of the Bill Black Single. 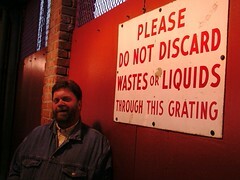 Enjoyed the mp3 of Willie, and your article here. 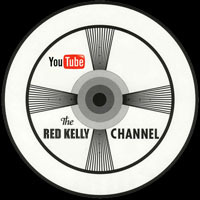 Researching the Combo, and Bill, as a source for "West Coast Swing" dance music. So, let me add a bit of information. Reggie returned to Memphis that year because he was going to be drafted. Bill, DJ Fontana, Scotty Moore, and Reggie all played on Joe Lee's "Joe's Mix" released by Frenwood before the Combo was formed. Then, the already named Combo backed Loyd Jones on a release for HI. Thanks, Steve... I'd love to hear Joe's Mix!